You: Is Health Coaching for Parkinson’s different than Health Coaching for anyone else? You: Then why is there a Health Coaching for Parkinson’s page? Me: I want you to know that partnering with a health coach could be ideal for you … just like everyone else. You: What does a Health Coach do? Me: A health coach partners with you in achieving optimal health, happiness and well-being. 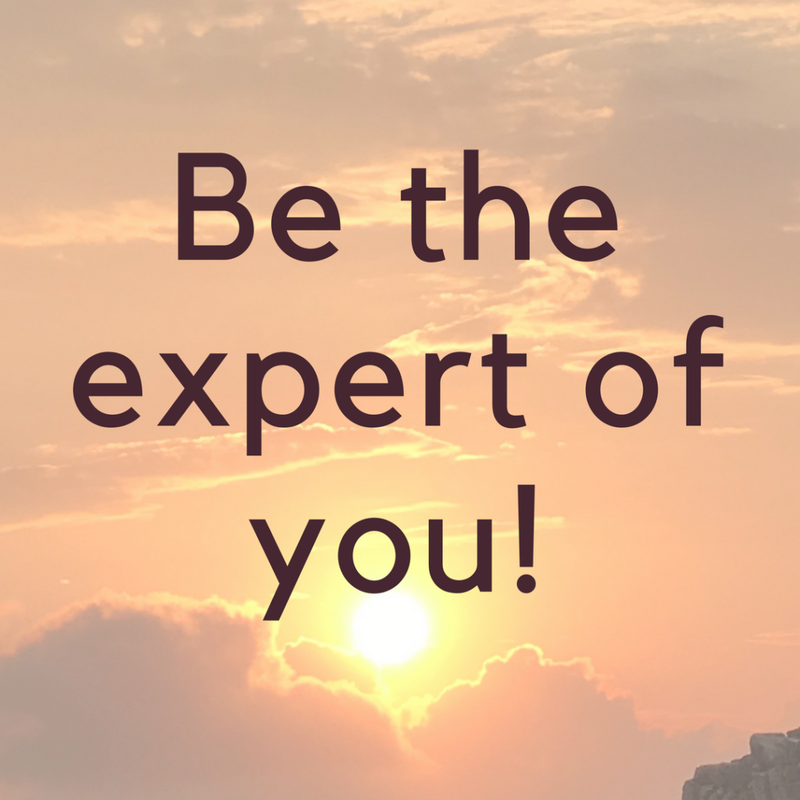 Your health coach recognizes that you are the expert of you and works to help you remember that. Your coach helps you identify what is most important in your life. Your coach asks lots of questions and listens with curiosity and an open heart and mind. What do you want? How do you envision your life? What steps do you take to reach that vision? Your coach helps you perceive solutions to obstacles, learn new skills and implement best choices. Your coach is your accountability partner. Together you explore lessons learned and celebrate success. You: How am I the expert? Me: No one knows you, better than you. You have doctors, therapists, a care partner, an entire interdisciplinary team evaluating, testing and supporting you but still you know you best. You know your strengths, what excites and motivates you, as well as what does not motivate you. You know what you like and what you don’t like. You know how you have been successful in the past, made change, gotten to where you are. The only way you can reach your highest quality of life is to live your life the way that works for you. You are the only one that knows all of that. You: I already have a therapist. How is working with a Health Coach different? Me: Although there is overlap, there are typically distinct differences between therapy and coaching. Coaching takes a positive, proactive approach versus coming from a disease model. We take a health and growth perspective. Coaches start with the assumption that the client is the expert of their own life situation. Coaching focuses on the here and now of events and their possible effects on the future. Conversations focus on goals, unutilized potential, solving problems and developing critical skills for success. Coaches help clients find their own motivation to function at their highest capacity. We are action-oriented. We envision a goal and clearly delineate the process for success. Together we anticipate obstacles, design solutions, build on personal strengths, learn from experiences and celebrate success. You: How do I know you are the best health coach for me? Me: You don’t, yet. 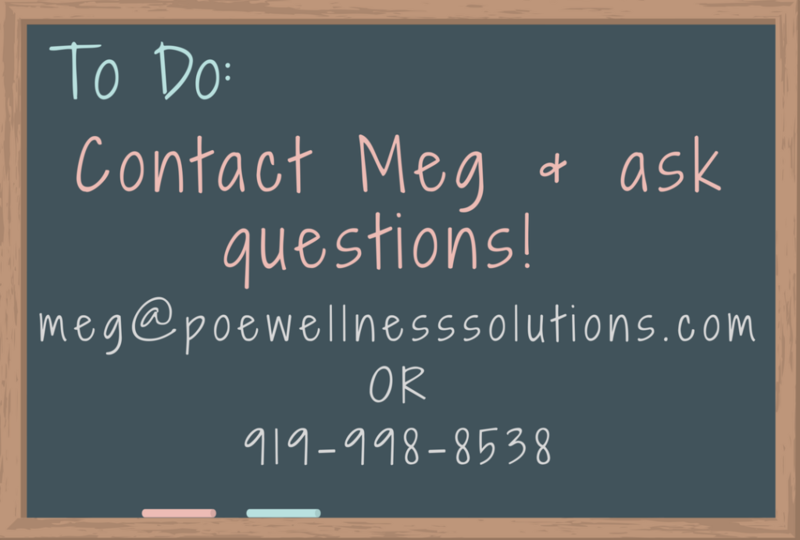 There are several things you can do to learn more about me and Health Coaching. You can continue exploring my website. The best way to know if we would create a good partnership is to chat. I am happy to answer questions. Feel free to call or send me an email. You can schedule a 30 appointment. You: What experience do you have with Parkinson’s? Me: My first experience working with clients with PD was as Director of Wellness and Rehab Services at a Continuing Care Retirement Community in MD, 1998-2001. In 2016, I initiated the Pilates for Parkinson’s class in Durham, NC. 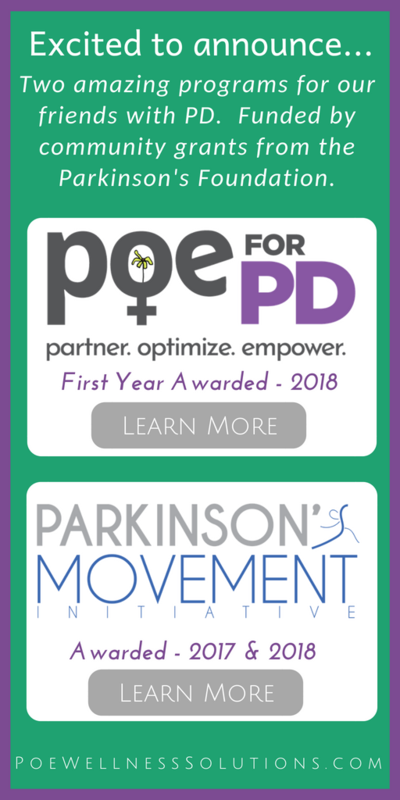 July 2017, NC Dance for Parkinson’s, The American Dance Festival and Poe Wellness Solutions received a National Parkinson’s Foundation grant for the Parkinson’s Movement Initiative. I was honored to attend the Colloquium on Interdisciplinary Rehabilitation Care for Parkinson’s Disease: Building Your Team, Enhancing Your Care offered by the UNC Department of Neurology, June 2017. While it is important that I understand PD, it is far more important that we see you as more than PD. You are a person wanting to take control of your health behavior, choices and habits. You: I think my care partner could benefit from partnering with a health coach. Can he/she work with you? Can we do it together? Me: Yes! Your care partner can explore a health coaching partnership. Their quality of life is equally important. As far as the three of us working together, you are the expert of you, let’s experiment and determine what works best. You: Is Health Coaching part of the Parkinson’s Movement Initiative funded by the National Parkinson Foundation grant? Me: No. This is not included in the grant funding. For anyone participating in Pilates or Dance classes at ADF, a 20% discount is offered for Health Coaching Wellness Plans. Contact me via email or phone. Let’s schedule a time to talk and explore working together.